Jason Robinson attends his 20th high school reunion where he connects with his old girlfriend. The next day she is dead and he is charged with her murder. He asks attorney Mike Zorich to represent him. Mike feels that the case against Jason is weak, even though Jason has given inconsistent statements and some emails emerge that give him a motive to commit murder. Meanwhile, Mike is trying to cope with his own problem with alcohol. After his friends confront him, he enters rehabilitation and then begins his own investigation into what really happened at the reunion, exposing dirty secrets that leave families and lives ruined with their disclosure. Fatal Reunion is available at Amazon. The phone rang at the suburban home of attorney Mike Zorich around one- thirty on a Sunday afternoon in October. Mike put down the crossword puzzle and hit the mute button on his remote. He could still watch the San Francisco 49er football game as the players ran around silently on the screen. He wondered who would be calling him at this hour. There was a pause and a couple of clicks on the other end of the line. 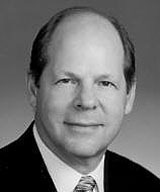 Ken Malovos has been practicing law in Sacramento for more than forty years. He spent twelve years with the Public Defender’s Office and twenty-five years as a business litigator. He now serves full-time as a mediator and arbitrator. 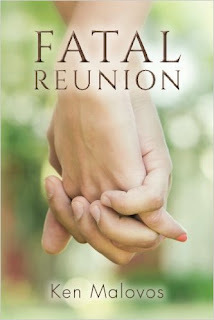 Fatal Reunion is his second novel. His first novel, Contempt of Court, won first prize in the legal genre of the Mystery & Mayhem Book Writing Competition sponsored by Chanticleer Book Reviews. He and his wife, Michele, live in Sacramento. Find out more about Ken at Goodreads.